NO REINCARNATION OF DALAI LAMA WITHOUT FREEDOM IN OCCUPIED TIBET. 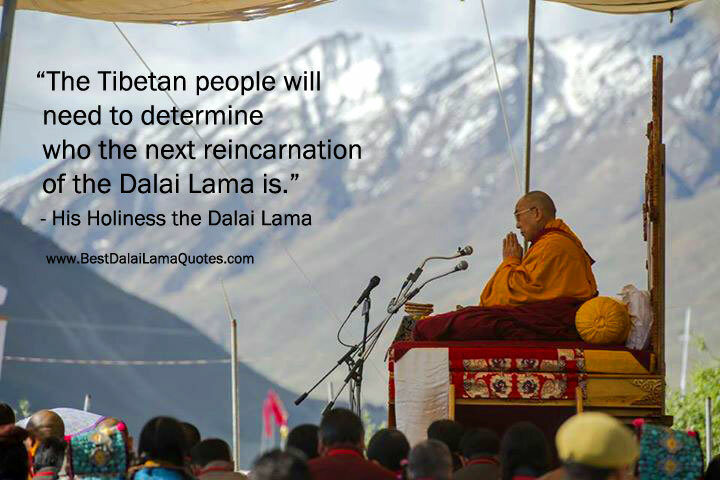 As Tibet remains under Red China’s military occupation without Freedom, Dalai Lama “REINCARNATION” remains Impossible. To restore normalcy in Tibetan National Life, Military Occupier must be evicted from Tibetan Territory. The Disease called ‘Occupation’ is the Cause and no Reincarnation is its Effect. NO REINCARNATION OF DALAI LAMA WITHOUT FREEDOM IN OCCUPIED TIBET. OCCUPATION IS CAUSE. NO REINCARNATION IS ITS EFFECT.